Register for both for $70 or $40 per session individually. EVEN BETTER NEWS…Tim has offered to teach also on Friday at 9am!!! 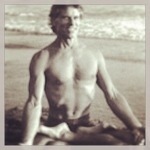 Join Tim for a Guided Primary Series class ~ $25. We are so honored and excited to have Timji return to Native Yoga. Please come and welcome Tim and show your support for our growing Ashtanga community that you are helping to create!! p.s. Native Yoga Center will be open Memorial Day for 7am and 9am class. The afternoon sessions are cancelled. This entry was posted in Uncategorized and tagged ashtanga, nativeyoga, yoga by nativeyoga. Bookmark the permalink.